When it comes to workplace injuries, few things are as dangerous, or as common, as falling. This is why safety agencies such as OSHA have spent so much time developing their standards related for how to protect employees from falling while on the job. It is important to note that the fall protection standards cover all types of falls ranging from slipping and falling, to falling from a ladder, and even falling off of a ledge of some sort. Taking the time to familiarize yourself with the fall protection standards provided by OSHA and ANSI will help to reduce the overall risk, and keep your employees safe. Floor Access Areas – Many floors have an access panel built into them so people can get down to the level below, or even into a storage area. These access holes must be covered so people can walk over them, and have guard rails around them. Having a safety sign in the area, or floor marking tape, is also recommended. Open Sided Platforms – Many platforms are open on one end, which can be necessary for loading or other uses. When possible, removable guard rails should be present, and there should always be signs and other hazard communication in place to alert anyone working in the area. Risk of Falling into Dangerous Area – No matter how far the drop is, if it ends in a dangerous area, such as a vat of hot liquid or somewhere you could become trapped, it is necessary to have a toe-board in place as well as guard rails. In addition to guard rails and hazard communication signs, facilities should provide anyone who works in areas where they could fall with protection equipment.Things like a Miller safety harness, safety nets or other items can help minimize the risk of being injured when people fall. This is especially important for those working well above the ground such as at a construction site. Even just installing stair rails to help provide additional balance can be a very effective way at minimizing risk in your facility. It can be very helpful to go through the ANSI fall protection code to read about what types of risks they are most concerned with, and how to address them. This code is made up of 11 sections, and covers a wide range of different topics related to falling. In order to review these standards, simply look up the ANSI Z359 Fall Protection standard, and go through each of the different sections. This will give you great insight into what types of things you should watch out for in your facility, and how to minimize the risk of all types of falls. Specifically, you should review the ANSI Z359.2-2007, which is titled, “Minimum Requirements for a Comprehensive Managed Fall Protection Program”. This section lists what is required of all facilities when it comes to protecting their employees from falls. If your facility is not meeting any of the requirements listed, you could be cited for a safety violation during inspection. One of the most significant requirements listed in the ANSI Z359.2-2007 section is that facilities must have a managed fall protection program, which is well documented. 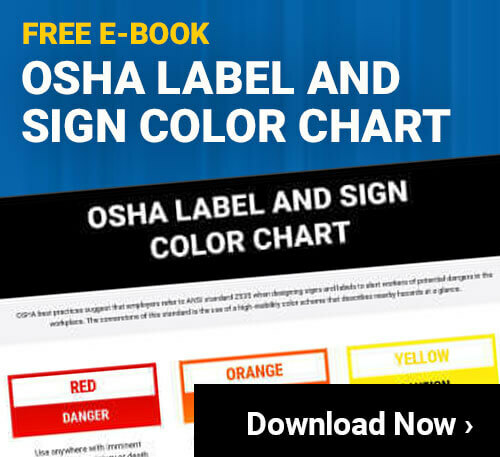 Creating this type of documentation for your facility will take some time and effort, but it will help ensure you stay in compliance with all safety regulations. Rescue Procedures – Documenting what steps should be taken in the event that someone falls is very important. Covering any specific areas where falls may occur, and how a rescue will take place in that area will help ensure you are prepared for any event. Investigation Processes – All falls, regardless of whether someone was injured or not, should be investigated by the facility. Identifying what led to the fall, and how it could be prevented in the future is an important job for a facility safety manager, and can lead to a safer facility. Fall Protection Policies – All your policies regarding what action is being taken to minimize the risk of falling in the facilities should be documented in one place. Everything from where safety rails are being put up, to what types of personal protection equipment is available should be well documented. Evaluating Effectiveness – Gathering information about how your facility is doing in the area of fall protection is very important. It will allow you to evaluate the overall effectiveness of your efforts, so you can make changes where necessary. One problem that many facilities face when it comes to minimizing the risk of falling is that most falls could be blamed on the employees, to one degree or another. It is important to remember, however, that even if someone is not paying attention at all, they should still be kept safe while in the workplace. Training employees on how to be safer is very important, but taking ownership of the danger, and working hard to eliminate it is the responsibility of the facility manager or the safety manager. Of course, encouraging employees to take precautions to avoid accidents is also going to help reduce the number of falls. When the facility and the employees are able to work together to reduce the fall risks in a facility, everyone will benefit. The fact is, virtually every fall that occurs could have been prevented if the employees, and the facility owners, had taken the right steps to improve safety standards related to fall prevention. When looking for fall protection equipment or other safety related gear, please visit Creative Safety Supply for an extensive variety of high quality, dependable safety products.